As I sat down to take in The Wolverine, it dawned on me that this is the sixth X-men film to date. While not as consistent as the series Marvel launched with Iron Man, it is still quite an achievement when you remember that the first installment launched the superhero movie genre as we know it thirteen summers ago. Series all-star Hugh Jackman reprises his role as Wolverine/Logan for the fifth time (not counting his cameo in First Class). While the abysmal X-Men Origins: Wolverine, is best forgotten, this film is a solid entry in the franchise because of the smaller scale and tighter focus. We catch up with Wolverine living in a cave in the woods, trying to forget the events of X-Men: The Last Stand (the geek community has been trying to do the same for the last seven years), when he killed Jean Grey to save the world. Yukio (Rila Fukushima), a pink-haired girl with a samurai sword, has been looking for him, and catches up with him in the middle of a bar fight. She persuades Logan to go with her to Japan in order for him to say goodbye to a man he saved during the Nagasaki detonation. Now the aged head of a business empire, Yashida (Hal Yamanouchi) offers to stop Logan’s healing power so that he will no longer be immortal. Logan also meets Yashida’s granddaughter, Mariko (Tao Okamoto), and gets involved in her plight despite his vow to no longer be a hero. Of course The Wolverine draws on the continuity of the previous installments, but to its credit, it almost works as a completely standalone film. I think the film gets by trading on the cultural awareness of the character, but if you are new to the franchise, it would be a good idea to spend five minutes perusing Wikipedia during the pre- show commercials to get up to speed. No other characters return from the other films except for Jean Grey (Famke Janssen), who appears only in Logan’s dreams, taunting him in death. Wolverine has always been emotional damaged goods, but this reinforces it by putting him in a new environment away from his surrogate family. All of this serves to reinforce the isolation and loneliness that Wolverine experiences throughout the film. I can’t overemphasize how much I respect the choice of director James Mangold to keep this film to a small scale. While ultimately satisfying, the film does have its share of issues. My biggest problem is that Logan doesn’t get much character development. The film tells us that by the end he has decided to become a hero again, but we see him do many heroic things throughout the movie, seemingly for no other reason except that he is a good dude. The film is largely based on the first comic book to feature Wolverine as the main character. That story by Chris Claremont and Frank Miller draws heavily on Shōgun, casting Wolverine in the central role and forcing him to finally accept a moral code. It was a turning point for the character in the comics, and it is a compelling read thirty years later. The cinematic incarnation of Logan was imbued with this characterization from the moment of his introduction, resulting in The Wolverine not changing so much as reaffirming his status as hero. Mangold takes a risk in casting Okamoto and Fukushima, both models acting in their first feature film, and just about splits the difference. Okamoto brings little fire to Mariko, alarming because of the impact the character is supposed to have on Logan’s life. Fukushima fares much better, backing up Yukio’s ice cold stare with a sense of playfulness that helps soften Logan and lighten up the tone of this otherwise drama heavy story. There are definitely a few thrilling action scenes, one involving a bullet train is definitely a highlight, I found that the film’s lackluster antagonists give the climax a hollow feel. There’s supposed to be a central mystery of who is pulling the strings, but the film doesn’t do a great job obfuscating the villain’s identity. The grand reveal doesn’t really feel like one, and the final fight does give us moments where it seems that Logan has met his match. The fight is less visceral than previous parts of the film, so it doesn’t feel like escalation. Or maybe it is just more fun to see Jackman slice up a few dozen henchmen than one guy in a suit of armor. Mangold seems to take his cues from 80s actioners like First Blood and Commando more so than the fantastical superhero elements we’re getting used to. Wolverine’s claws require him to get in close, infusing all of the fight scenes with an intimacy we don’t get when skyscrapers crumble. 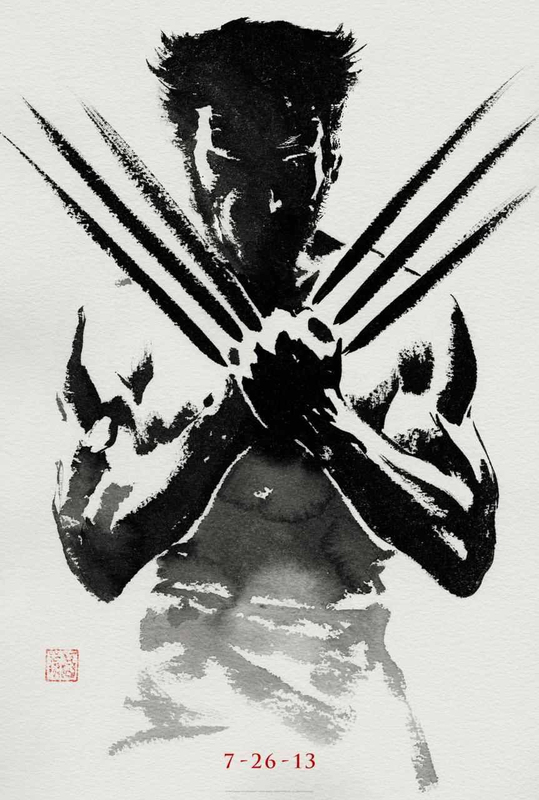 The Wolverine is a solid superhero film, proving there is still a lot of joy in seeing Hugh Jackman’s iconic take on the role, aided by embracing a smaller scale story. And ninjas. 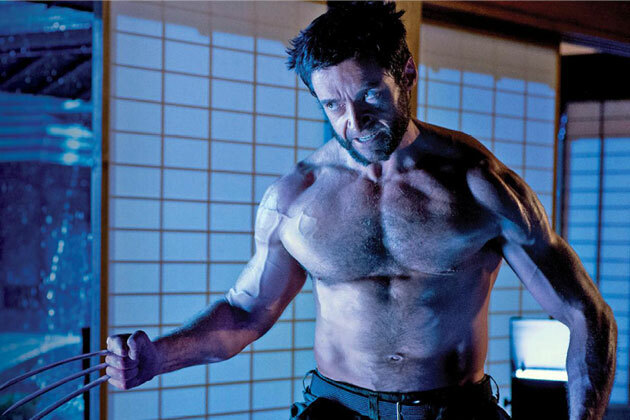 The Wolverine opens today in Philly area theaters.